“New year, new me…” This phrase feels so familiar. Do you also plan to get in shape and stay fit throughout the year starting from January? Do you also quit after 2 weeks? There’s still a chance to keep your word. 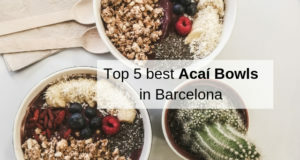 Here are some tips of the best places for your trainings in Barcelona. 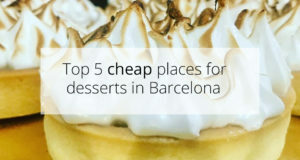 Whether you are in Barcelona for a short weekend, an extended holiday or a long-term stay, the city offers plenty of excellent ways to exercise and burn off the calories from all of those tapas and churros! 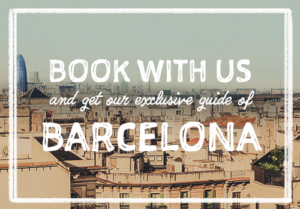 Choose to go for a refreshing run through Ciutadella park or along the sunny coast. Spend the afternoon playing volleyball with your friends at Bogatell or Mar Bella beach. 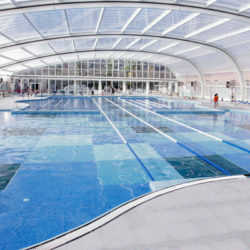 Join a sea-swimming club or become a member at one of the many excellent swimming pools in the city. And if you’re seeking to change your whole lifestyle, sign up for pilates classes in a studio or park nearby. 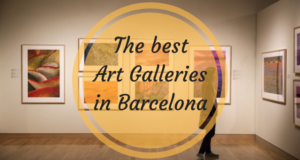 If you’re more of a gym type of person, the one who enjoys the convenience of exercise machines, personal trainers and air conditioning, you might want to continue reading, as we go through some of our favorite gyms in Barcelona! 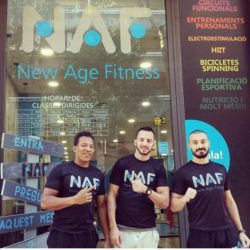 New Age Fitness (N.A.F) is the first gym with LOW COST private classes to set foot in Barcelona, allowing you to have exercise with personal coaches in a team of professionals and many options to suit your desire. With great bits of advice, each coach will find what’s right for YOU, with a big variety of courses to fit what works best for you and your goal! No matter what you’re looking for, they have it all, whether you’re a beginner or a pro, they’ll know how to get the best out of you and help you push your limits. • Functional Training: learn how to move properly and control every inch of your body, that will benefit you in both your everyday life but also your professional life. Used especially to prevent injuries that could happen later, or to heal passed ones, this course is based around 4 pillars, strength, endurance, agility & flexibility. • Electrostimulation: thanks to the latest technology of electrostimulation, this tool is used to get better results by stimulating the muscles to maximize the gains of your training. • Bodybuilding: the classic work-out session, working on each muscle group, but with the help of coaches to get you where YOU want to be. They will help you with your work-out schedule, and also your alimentation to maximize the results of your training in the healthiest way for your mind & body. • Nutrition: definitely the most important part of your training, learning what to eat and how to eat is key when you want to achieve realistic goals. The coaches are available for every question you may have, tracking your progress and giving advice on what’s best for YOU and your body type. Also offering outdoor classes for adults at the end of the week, this gym is the total package for whoever wants to achieve their goals. If you prefer to come with friends, family or partners to enjoy fun and healthy time together, you can come to group classes offering you a fresh and original routine to get fit almost without noticing. 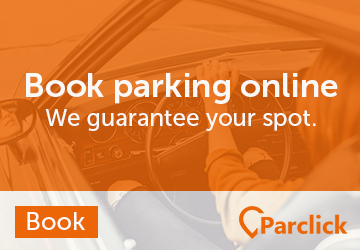 We have a SPECIAL OFFER just for YOU ! Contact us to get 30 MINUTES OF FREE SESSION! 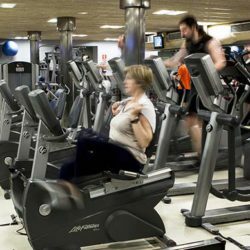 One of the most popular gyms in Barcelona is Clubs Metropolitan, which is also the largest national chain of Sports, Health and Welfare centers, with a total of 22 locations in Spain (7 of those being in Barcelona). 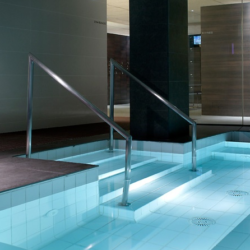 Their facilities offer the latest equipment (elliptical, bicycles, power plates, weights, several pilates-specific machines, etc), luxurious changing rooms that include a spa and wellness center, pristine swimming pools, jacuzzi, saunas, rooftop terraces with solarium and a full schedule of classes taught by professionals. They even have a restaurant with a carefully designed menu featuring healthy, balanced dishes. Each new Club Metropolitan member gets a personal interview with a trainer in which he or she can plan a program with which to reach their fitness goals. There are discount memberships for couples, pregnant women and those who choose to go only in the mornings. For those who appreciate great quality machines and services we highly recommend Clubs Metropolitan Barcelona. 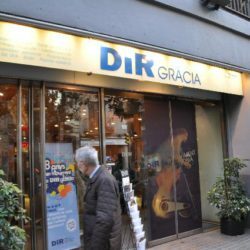 Those whore are staying in Barcelona for less than three months might want to check out the clubs of DiR, the biggest chain in Barcelona. 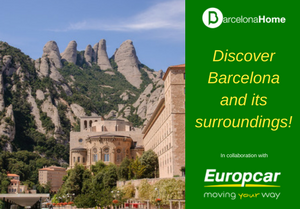 One of the benefits of this club is that there are several locations (24, to be specific) throughout the city, making it easy to find one near your accommodation, no matter where you are staying. 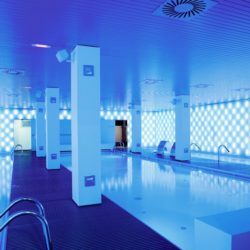 We especially recommend DiR Diagonal, a 12,600 m2 center with a large fitness room full of cardiovascular equipment, 1 spinning room, 3 other rooms for classes, and a 50 m swimming pool which is half indoor and half outdoor. The clubs of DiR tend to have basic gym equipment, with some clubs featuring more outdated machines than others. 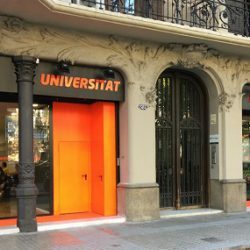 They also have rooftop terraces, weight training rooms, nutrition services, massage and physical therapy, solariums, saunas and a full schedule of classes. 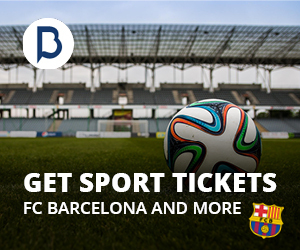 DiR Barcelona offers a monthly discount if you sign up for more than 1 month at a time. They also have frequent deals for new members. 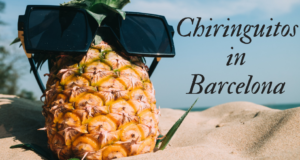 Moreover, they organize various events you can participate in such as Yoga day, Zumba mornings or Pedalling for La Marató with a purpose of raising money for charity. Downsides of DiR include that the facilities often do not have a very solid WiFi connection or phone service in general. 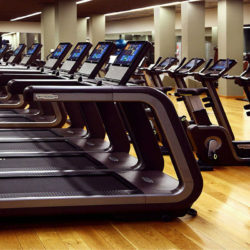 The machines at some of the clubs are a bit outdated and the facilities are definitely not as nice as those of Clubs Metropolitan, leading many to consider DiR overpriced. But if you’re just looking for a basic elliptical or bicycle and some nice yoga, pilates, body pump or abdominals classes for a month or two during your stay, DiR is the way to go. 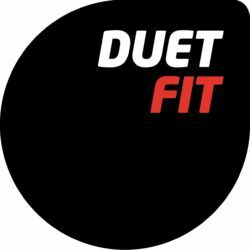 Duet Fit is based on a philosophy of offering smart and efficient spaces, along wide array of activities led by professional trainers. 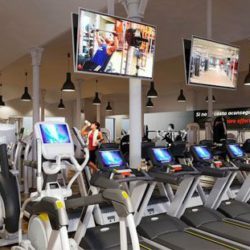 Their large fitness areas are equipped with the latest machines, including treadmills, ellipticals, rowing machines, bikes and recumbent bikes. They also have a stretching area, functional workout area with cage frame, ropes, bags and elastics, free weight area with dumpbells and weights, and strength area with traditional fitness machines. They offer classes in pilates, cycling, body pump, abdominals, free fit, radikal, etc. 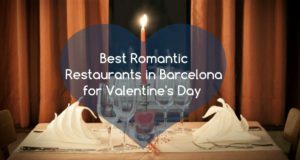 There are 10 locations in Barcelona: Av. Roma, Bruc, Glories, Hipercor Meridiana, La Rotonda, newly opened La Verneda, Sagrada Família, Sants, Via Augusta and Universitat. 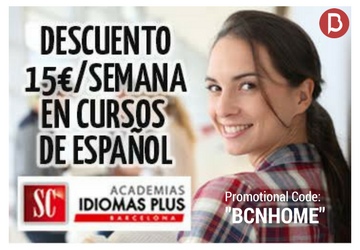 Currently they have an offer to start your training in January for free. Also, when you bring friends you can get up to 100% discount for your visit. The more friends you bring with you, the bigger the discount is. If you’re looking for an inexpensive gym with all the latest workout equipment but no swimming pool, sauna or spa facilities, Duet Fit is the right choice for you! 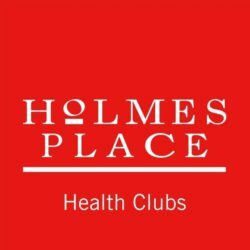 And if you’re looking for a truly sophisticated health center, you might want to check out Holmes Place. 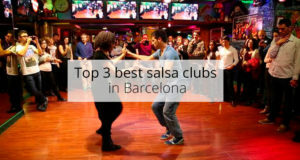 The club has 5 locations in Barcelona: Balmes, Can Dragó, Les Corts, Sardenya and Urquinaona. 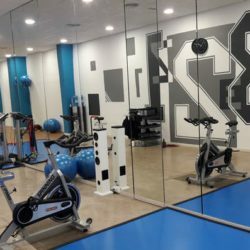 Holmes Place Barcelona gyms tend to have a very international and cosmopolitan feel and they contain exclusive features along with a wide range of activities. 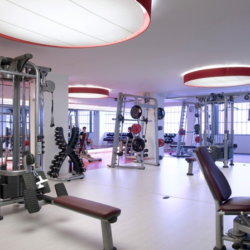 The very popular Urquinaona center, for example, offers a large swimming pool, exercise room with bicycles, ellipticals and treadmills, a relax zone, personal training, physical therapy, pilates, hairdresser and a beautiful rooftop solarium. 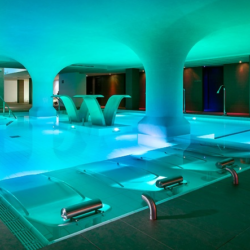 Membership is a bit more expensive than some of the others, but this is the place to truly feel pampered! 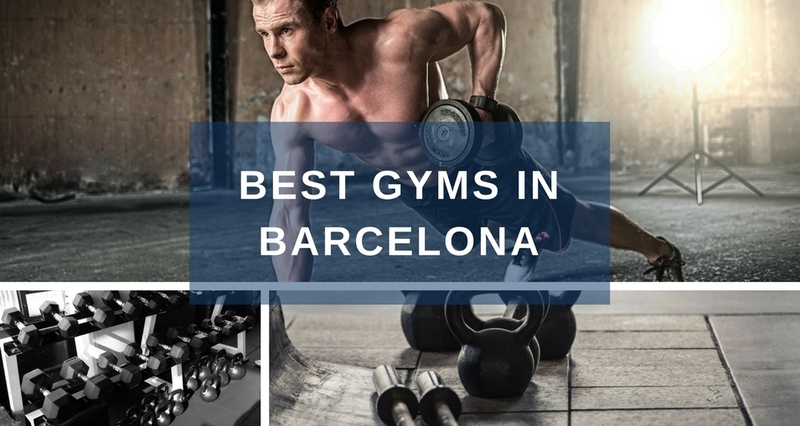 We hope this guide of some of Barcelona’s gyms has been helpful for picking one to match your lifestyle. That’s for the blog. Appreciate your reviews. 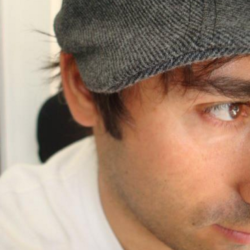 Tried DIR and had a bad experience with the management. The faculties were decent though. 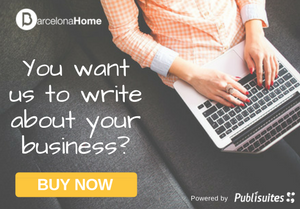 Not sure if there are other short term options in BCN. At first one would think that this gym is perfect. It certainly has the facilities, the service, and the right opening hours. It also has an interesting mix of customers and offers a reasonable price. But I have been robbed 4 times in 3 months. My phone was stolen twice, someone grabbed my watch as I was changing. But the most impacting thing was getting my towel and water bottle stolen as I momentarily went to ask something to the professor. The problems begin when you go to the front desk to ask for something, or when you show up with a problem. There’s never an effective answer, as there is never an easy way of doing things. They do not want your problems, and my impression is they don’t get paid well enough to care. Such a waste of time. As soon as I managed to leave the place I checked Metropolitan or the GymforLess initiative. I will never get back to DIR, ever.